Join veteran environmentalist Maya van Rossum at the Chester County Library and District Center as she discusses her new book, The Green Amendment: Securing our Right to a Healthy Environment, followed by Q&A and signing. Come out and meet Maya, pick up a copy of the book, and learn about the future of environmental advocacy. Maya K. van Rossum is the Delaware Riverkeeper and leader for the Delaware Riverkeeper Network. 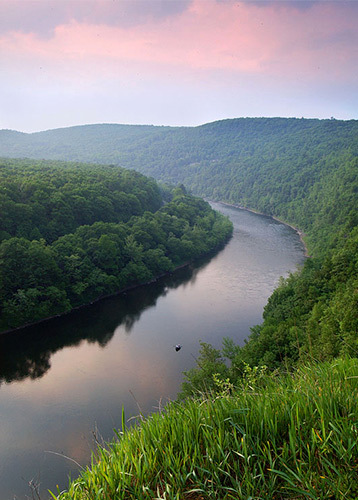 The Delaware Riverkeeper Network works throughout the four states of the Delaware River watershed (NY, NJ, PA & DE) and at the national level using advocacy, science and litigation. DRN's main office in Bristol, PA. During van Rossum's 23 year leadership, the organization, and van Rossum herself, were the lead plaintiffs that brought forth the legal arguments that inspired the PA Supreme Court to breathe life into PA's long ignored environmental rights amendment. van Rossum is currently advancing The Green Amendment movement, seeking to inspire and secure constitutional protection for environmental rights across the nation. Maya is also a lifetime resident of Radnor Township, having grown up in Villanova and now residing with her family in Bryn Mawr. During her years in Radnor, she has enjoyed the creeks and natural space of Radnor and the Delaware County region. Some of these experiences feature prominently in her book.